Shane Peacock was born in a place that doesn’t exist … the city of Port Arthur, Ontario. 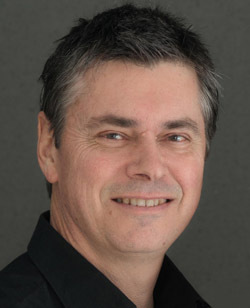 He grew up in Kapuskasing, Ontario, then earned a Bachelor’s degree (Honours) in English and History from Trent University, and a Master’s degree in Literature from the University of Toronto. Shane worked as a labourer for Spruce Falls Power and Paper Company, a wilderness bush sprayer for Ontario Hydro, and a box mover for a university bookstore. But ever since childhood, his mind was on other things: on extraordinary people and events, on personalities who made legends of their lives, on what motivated them, and what made others accept supporting roles. He set out to write about such individuals, some real, some invented, and others so eccentric that they seemed to be a combination of both. Because he writes about unusual subjects, his research methods have, at times, been out of the ordinary too. He has learned the arts of tight-rope walking, silent killing, trapeze flying, and sumo eating, all in the service of his art. Shane and his wife, journalist Sophie Kneisel, live with their three children on a small farm near Cobourg, Ontario, where he continues to search for and imagine larger-than life characters. In his spare time he enjoys playing hockey, reading, and walking the wire, pretending that he is the hero in each story. Shauna Kosoris: You are most well-known for your Boy Sherlock Holmes series. What inspired you to write about a young Holmes? Shane Peacock: The Boy Sherlock Holmes series grew from an idea for a novel about racism and prejudice, and the need for the opposite of those two horrible things, justice. There was no one named Sherlock Holmes in the first draft of the first novel. It was a story about a brilliant half-Jewish boy in Victorian London, plagued by racist tormentors in school, who ends up being implicated in a murder and must find the villain. It wasn’t until someone suggested that my character could actually be Sherlock Holmes that I re-constructed the novel to make it about him. That allowed it to grow in both its appeal and complexity. That most certainly would allow the story to grow in interesting ways. More recently, you were involved in the Seven series; how did you get involved in that? Eric Walters asked me to be involved in the Seven Series. We had been friends and colleagues for a while, and when he came up with his brilliant idea of a series written by seven different novelists, with novels all with the same starting point (a grandfather’s dying wish that his seven grandson’s attempt the seven amazing things on his bucket list), I thought it would be fascinating to be part of it, almost like a writing exercise. That does sound like fun! Did you choose to write Adam Murphy’s stories in the Seven Series/Sequels/Prequels? I most definitely chose to write Adam Murphy’s stories in the Seven Series/Sequels/Prequels. Eric simply gave the other six authors the premise of the series and then we all created our characters and took them where we wanted them to go. One of the many strengths of this triple series is the uniqueness of each novelist’s creations in their respective novels. Your new series, The Dark Missions of Edgar Brim, centers around a very sensitive character who suffers from night terrors. Did you plan for your protagonist, Edgar Brim, to have this sleep disorder? 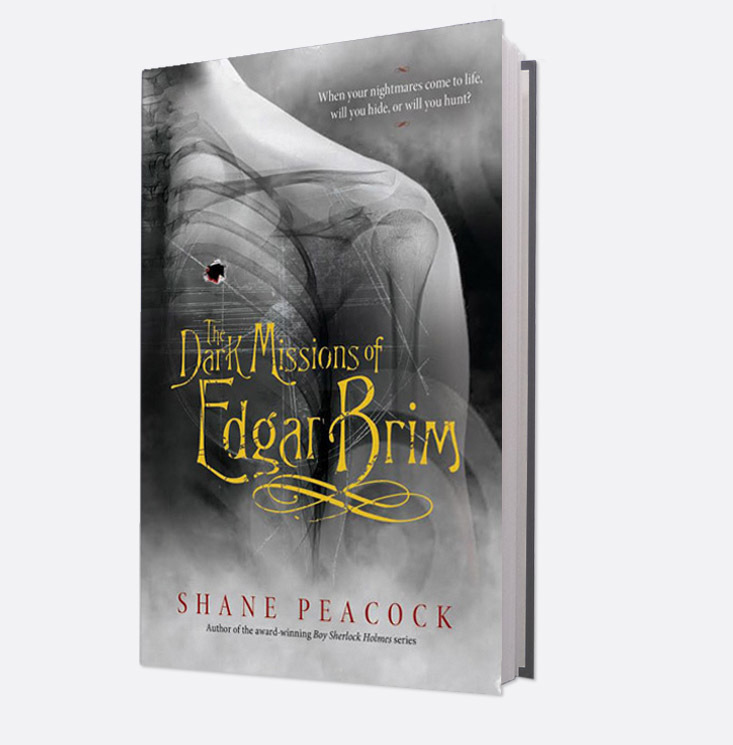 The Dark Missions of Edgar Brim was always meant to be a book about fear and, in particular, a story about a boy who suffers from a sort of anxiety disorder (though it certainly wasn’t called that in his day). I added the sleep disorder known as “sleep paralysis” or “the hag phenomenon” to his character, a terrifying ailment that most certainly still plagues people when they wake up suddenly and cannot move. Some people, over the centuries, report some sort of presence in the room with them, often a sort of hag or witch who is sitting on their chest, paralyzing them, squeezing the breath out of them. Edgar Brim struggles with this throughout my horror trilogy. Both your Boy Sherlock Holmes series and your new series about Edgar Brim are set in the Victorian era. Why does the Victorian era/Gothic period appeal to you so much? I think the Victorian period appeals to me so much because it occurred after photography had been invented but before moving film, so we can see images of people and places and buildings and machinery from that time, but they sit or stand there, ghostly and immovable. I am fascinated by the idea of making it move in my novels, of animating that fascinating historical period, especially in London. I am also a huge Charles Dickens fan … that will do it to you! In the middle of working on all of these series, you’ve also written a children’s picture book. Why did you decide to write a picture book about Vincent van Gogh? As is often the case with artists of all genres, I didn’t choose to write a picture book about Vincent van Gogh as much as it chose me. I had written a short story about him long ago that Karen Li, a brilliant editor at Owlkids Books, learned about and asked if I might consider turning into a picture book. I am an admirer of Van Gogh, of his genius, his individuality and courage, and an enemy of bullying, so I put those two things together in “The Artist and Me” and told what turned out to be a unique picture book that has, thankfully, met with great critical acclaim. All of your books to date have been aimed at younger audiences, both young adult and children. Why do you like writing for these younger age groups? Actually, my first book, The Great Farini, was for adults, all my plays, documentaries, journalism and even a novel I am working on now, are for adults. But I do enjoy writing for the younger audiences. It is definitely fun to be anywhere from six to eighteen again. And it is also intriguing to tell stories that are challenging, as all YA literature is if you try to get it right – to stay on plot, make your work exciting, AND make it say something and be structurally and stylistically interesting. It is often commented that my books are like adult novels for kids. I am writing the second novel in the Edgar Brim trilogy, entitled Monster, as well as a new picture book, and the adult novel. I also have an idea for a Teen romance (a very different sort of one) and am developing a strange new YA series. Wow, you’re very busy – good luck with everything! Finally, let’s talk a bit about reading. What book or author inspired you to write? I think the aforementioned Charles Dickens may have been the greatest influence on me. My father actually read us Oliver Twist and other Dickens works when we were pretty young and I was absolutely enchanted by the characters and the worlds I encountered. I am also a big fan of The Little Prince, which is prominent in each of my novels in the Seven Series, Sequels and Prequels. Well, everyone should read Shakespeare. I know he is difficult for young people, but he is undoubtedly the greatest writer who ever lived and his stories are absolutely alive. They are magical. But Dickens is close behind. I have been reading a lot of classic Horror stories for The Dark Missions of Edgar Brim, lots of Frankenstein, Dracula, Poe, and I recently read an amazing novel called Infinite Jest by David Foster Wallace, which is 1,100 pages long and very complicated but also rewarding. At this moment, I’m part way into Miss Peregrine’s Home for Peculiar Children. The Fault in Our Stars, which I’ve somehow avoided for a while, is up next.